Today I tried to buy some new shoes. Yes, I'm a girl and I like shoes, so what's new?! Much to my dismay I have spent the last 3 years living in boots and trainers and I would love something more 'girly' to wear... So off to the shops it was. Pair after pair I try on, I stand up, try to walk, shake my head and sit down. The shop assistant looks up at me while surrounded by open shoe boxes and tissue paper - she is trying to smile but I can tell she is crying inside. My criteria, I thought, was fairly simple. All I want is a pair of shoes that don't "wobble when I walk". Oh, and they have to look fabulous! 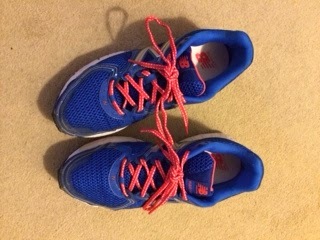 This is as exciting as my shoes get! I've had much the same problem with boats - not standing up and falling over (well, not too often;-)), but you know what I mean. One of my main training goals this season has been to improve my stability in the boat - to minimise the wobbling as I paddle and to allow me to paddle in skinnier (ie faster) boats. 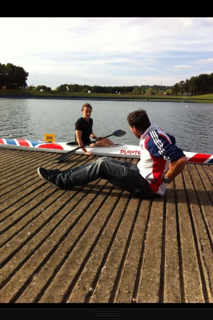 This has involved input from the whole team of experts in the GB Paracanoe Program. I've been corrected by technical coaches and treated by physios with the help of strength and conditioning gurus, not to mention clever boat adaptations to compensate for the lack of feeling and control in my right leg - making me more 'at one' with the boat. 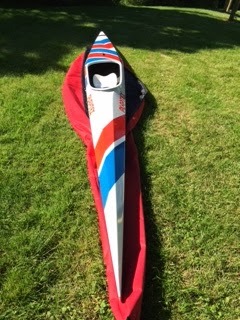 So with no luck on the "new shoe" front it was with huge excitement that I was finally able to paddle the mark3 Plastex para canoe - (the faster but more unpredictable version of my much loved Pippa.) without falling in- yippee!! Opening the bag of the new boat made me smile from ear to ear. It wasnt a shoe box containing jimmy choos and I may not be able to wear those beautiful, sleek shoes with a skinny heal anyway, but I can absolutely paddle a beautiful, sleek, skinny kayak. 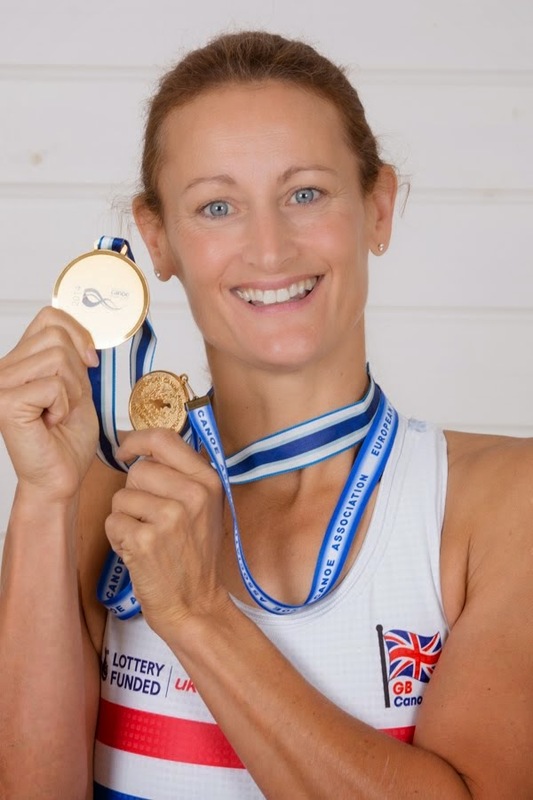 What's really exciting is that ahead of my final selection regatta for the world and European champs I have just posted a PB in my new kayak. Thank you to all involved who have worked so hard in helping me wobble less in my boat and also a really big thank you to Plastex for your commitment to making boats for para athletes and for generously sponsoring me with a perfect boat.